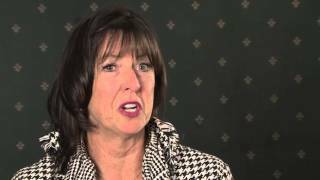 Donna DeCarolis’ career has encompassed such varied disciplines as research and statistics, investor relations, communications, human resources, business development and company management. And she’s done it all at one company—National Fuel. “Our company is big enough that you can follow many paths to broaden your skills and work in a lot of different areas,” says DeCarolis ’81, MBA ’83. She didn’t set out to stay at National Fuel—or even in the Buffalo area—for her entire career. “When I was first hired after receiving my MBA, I thought I’d stay for a year or two, then relocate,” she says. A Western New Yorker since the age of three, she planned to see what other parts of the country had to offer. Those plans changed, however, as DeCarolis began to move up in the company. Her promotion to director of investor relations in 1985 necessitated a great deal of travel as she worked to promote National Fuel as an investment opportunity. “The more I traveled, the more I realized that I’d rather be in Western New York,” she says. “It really highlighted and made me appreciate what we have here. 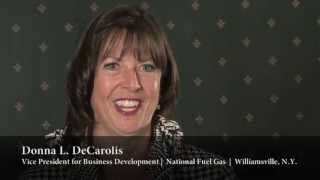 DeCarolis became head of National Fuel’s corporate communications in 1992, overseeing public affairs, advertising, community relations and employee communication, and serving as company spokesperson. A few years later, the area of human resources was added to her responsibilities, and she was eventually promoted to assistant vice president. In 2001, she transferred to National Fuel Resources Inc., a wholly owned, energy-services subsidiary of National Fuel Gas Co., where she served as vice president and subsequently, president. She also was named president of two more National Fuel subsidiaries, Horizon Power and Horizon LFG. DeCarolis returned to National Fuel Gas Co. in 2007 as vice president of business development, responsible for new business development and strategic acquisitions, while continuing to serve as president of Horizon Power and Horizon LFG. She later led the effort to divest the company of these assets. In February 2009 she also became responsible for the external affairs of National Fuel, including the Corporate Communications and Government Affairs Departments. DeCarolis says she is “bullish” on Buffalo’s future. A 1995 graduate of Leadership Buffalo, she now serves on its board of directors. “My class experience opened my eyes to the question ‘What is Buffalo?’ and connected me with a network of other people involved in the community,” she says. DeCarolis has provided volunteer service to more than 20 community organizations. 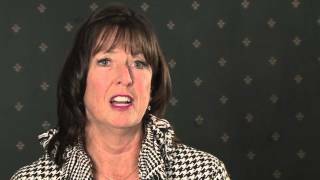 In addition to Leadership Buffalo, she currently serves as a board member and executive committee member for the Amherst Chamber of Commerce and as a board member of the Martin House Restoration Corporation. She is also a member of the Dean’s Advisory Council for the School of Management, where she is excited by the school’s role in strengthening Western New York. Update: In 2019, Donna DeCarolis was named president of National Fuel's utility business.